OVH.com: Where ‘Innovation is freedom’, OVH.com provides Virtual Private Server Classic category with VPS 2014 Classic 1 ( 1 vCore/ 1 GB/ 10 GB) for $ 2.99 per month, located in Beauharnais (CA), North America. It operates in Linux operation system. Arvixe : Arvixe web hosting provides Personal Class hosting with unlimited disk space, unlimited data transfer, 6 websites (domains) and 1 free domain for life for $ 7.00 for a month. Personal Class Pro with unlimited disk space, unlimited data transfer, unlimited websites (domains) and 1 free domain for life for $ 10.00 for a month , which comes for $ 168.00 for 2 years. InMotionHosting : Its one of the most popular package: Business Class Hosting is feature packed with top support and low prices. Depending on the duration of the plan selected the user gets new domain or 1 transfer domain for no cost for initial year. Pro Plan costs $ 11.39 plus $ 40 for set up for one month and $ 9.59 for six and $ 8.99 for 12 months. Additional support includes: Unlimited MySQL Databases, Unlimited Web Sites and Unlimited domains with email. Geek plan contains unlimited domains, unlimited disk space and unlimited bandwidth with prices as low as $ 3.48 per month. 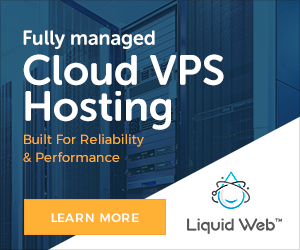 Nerd provides unlimited domains, unlimited disk space, unlimited bandwidth, free dedicated IP and free private SSL with cost per month for $ 11.95. Features of these plans include: anytime money-back guarantee, 99.999% Up Time, 24x7 phone, chat, & email, online ticketing system, WordPress & Joomla (CMS Hosting), Libogg, POP3 and Spam Assassin, to name a few. Hivelocity : Hivelocity provides 3.3GHz Quad-Core E3-1230 v3 Haswell Xeon / Haswell Processor, 16GB DDR3 memory, primary hard drive for 480GB / SSD (Intel DC S3500/S3510), bandwidth of 10 TB / 100 Mbps and operating system of CentOS 6 (latest) / Linux / other and cloud storage of 10GB. It costs $139 per month.